TRAGEDY struck, Sunday, at Ibillo, Akoko Edo Local Government Area of Edo State, when a man popularly known as Alhaji, murdered three persons including a three year old boy, after a quarrel over the ownership of a bitter leaf plant in the compound. The sad incident occurred at Ogo quarters Ibillo Sunday evening. The three killed includes a man identified as Mr Aliu Ademo, a girl called Favour and a little boy Isaac, who later died yesterday morning at the hospital. 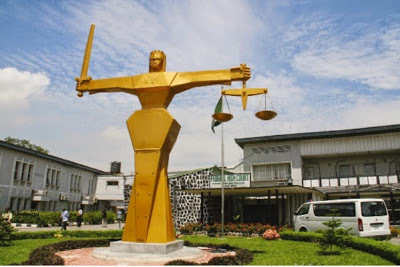 Vanguard learnt that trouble started when the Alhaji had a heated quarrel with the daughter of a Co-tenant called Favour over the bitter leaf plant in the compound. It was said that Alhaji went to harvest the vegetable without the consent of the owner which angered the daughter of the woman, Favour. According to an eyewitness, “Alhaji who is from Igbira came out with a cutlass and beheaded the girl. Mr Aliu saw what happened and started shouting, Alhaji ran after Isaac the little boy to kill him but Aliu pursued him in order to save the boy. But he succeeded in killing both the small boy and Mr Aliu. “He decided to kill the man because the man came to save the little boy. The small boy was rushed to the hospital because he was still unconscious but we later heard he died this morning (Monday). Alhaji is on the run now but the police is looking for him”. Reacting to the murder, the Police Public Relations Officer in the state, Mr Stephen Onwechei, said “ the suspect is currently on the run but we are on his trail. He will be arrested. He abandoned his cutlass and took off after the killings. When people came around to stop him he killed them including a three year old child. “That is barbaric. I understand he previously had quarrel with the mother of the child over the ownership of the bitter leaf in the compound. That is madness but we must arrest him no matter how far he tries to run. He must face justice for his wicked act” he declared.